Have you ever thought that the way you are training your abs could actually be setting you up for injury, and worse, could be making you look like you are a few months along a pregnancy? Well, one day my father asked me what I had been doing for my abs, and it wasn’t in a good way. He was asking me because from the side it looked like I was a phenomenon…a man with child…just like Arnold in Junior. 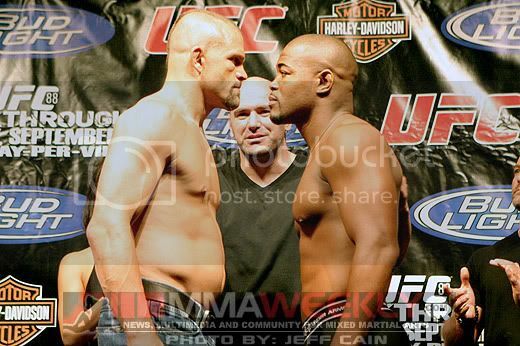 Or a for a more real life example, do you remember Chuck “The Iceman” Liddell? The dude was a monster in the ring, and looked lean and athletic from the front. And like The Iceman, I didn’t look fat from the side because I was carrying extra insulation around my waistline. In fact at the time I was actually right around 5% body fat, and from the front I looked like I had the six pack I was going for. I had been crushing ab work almost everyday. I was strong in certain muscles (primarily the rectus abdominus) and I looked good from the front. You want to increase performance and decrease injury potential. You want to create the flat, chiseled midsection that people like to look at. And even though you are right in getting after the ab work as it is all about the abs, it is more about the execution of the exercises and making sure they target the core as a whole. Because when you have a strong, stable and high functioning core, it helps to solidify proper hip and ribcage position, decrease the likeliness of overuse injury to the back, hips and knees, and, of course, gives you a better chance of looking shredded come beach season. So what was I then doing, and many of you continue to do?? 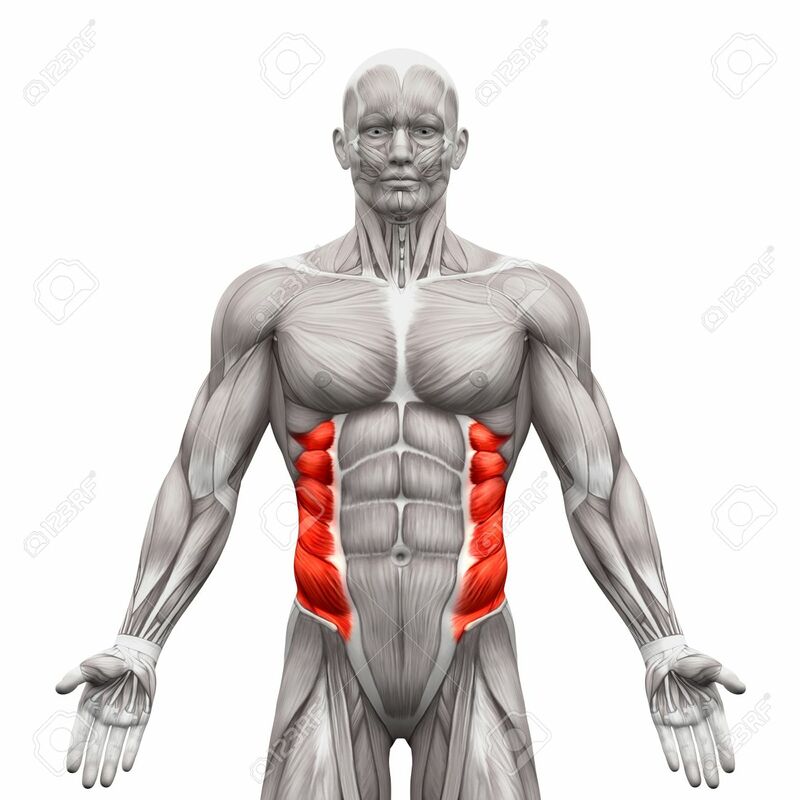 Rectus dominance simply means that you are relying on your rectus abdominus muscle, the “six pack” muscle, to create stability and perform many of the ab exercises. And you don’t even have to be doing the “wrong” exercises. Many now know that crunches and sit ups are not best for performance and health, so these exercises have been dropped from many programs, or at least not done with such high volume and frequency. But you can even run into problems with exercises such as planks, side planks, anti-rotation presses, chops, and lifts. These are all great exercises I perform, and prescribe for my athletes, but too can feed into rectus dominance. This is a problem because when you are relying primarily on the rectus to complete exercises, they grow larger and give you what may appear to be a “pregnant” belly. Aside from looks, the rectus is not a great stabilizer of the hips and spine. The deep core muscles such as the obliques and transverse abdominus play a much greater role in stabilizing the system. 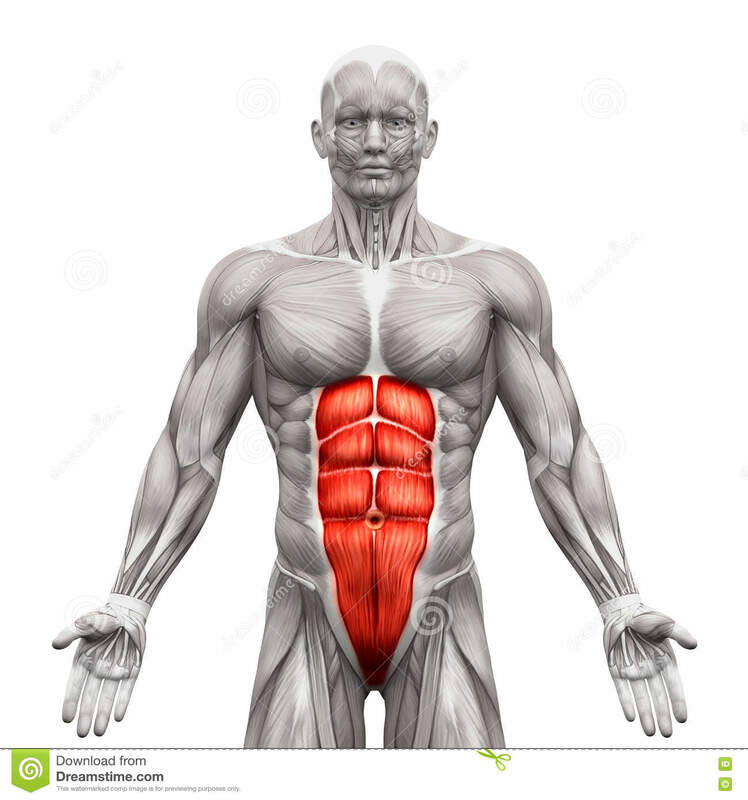 When the rectus takes over (dominates) and you are not using and strengthening the deeper core muscles, you are more likely to experience unwanted back, hip and knee pain (and other problems up and down the chain). What is creating rectus dominance? I, like many coaches, cue to “stay tight” and “engage the core” when I am cueing my athletes during exercises. The problem is that staying tight and engaging the core means nothing, and more likely, the wrong thing, if you are not coached to understand how you should be doing so. Most of the time when we think about staying tight we end up contracting our rectus and create what resembles a “crunch like” movement that brings our ribcage down excessively. While we don’t want our ribcage to “pop up,” we also don’t want to crunch down to stabilize. So we must understand that “staying tight” doesn’t mean to crunch down, instead we must focus on staying “tall” through our chest while keeping the ribcage from popping up. This happens when we engage and prioritize our other core muscles, primarily the obliques. One of my favorite cues to get the obliques engaged is to think about “shrink wrapping your spine” with your abs. These results in us “flattening” our midsection and contracting the obliques. Also, since many of us fall into an anterior tilt at the hips (when the hips rotate forward), another one of my favorite cues is to “pull your zipper up towards your ribcage.” This helps to slightly posteriorly tilt the hip back to neutral during movements. Focus on these two cues, as well as making sure to keep your “chest tall” and “upper back long” and you will better engage your obliques in order to stabilize the hips and spine, without crunching down. Focus on these cues before performing each and every exercise and it will help you to keep yourself from creating rectus dominance, and the unwanted pain and “pregnant look” that is the likely resultant. This is just another example to show that it is all about the principles and execution of exercises, not the exercises themselves that truly matter.